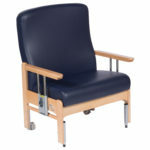 The Teal 747 Static Bariatric Bedside Chair comes with a solid hardwood frame with smooth rounded corners and no sharp edges. 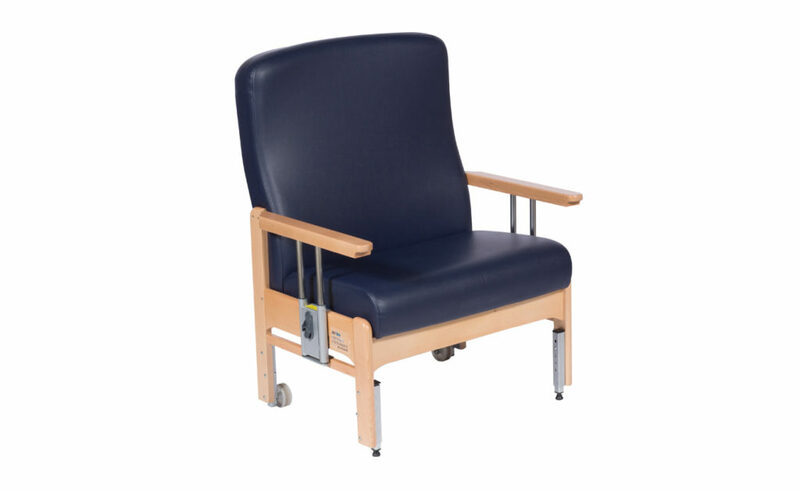 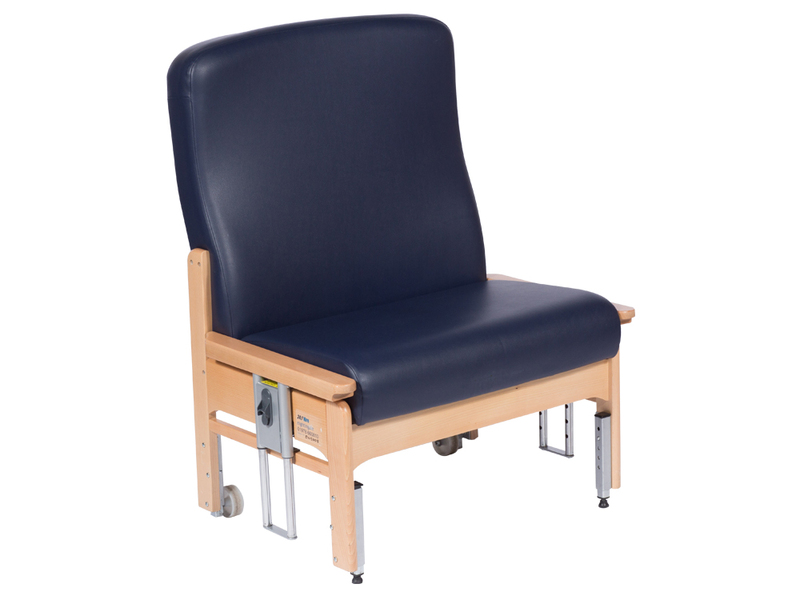 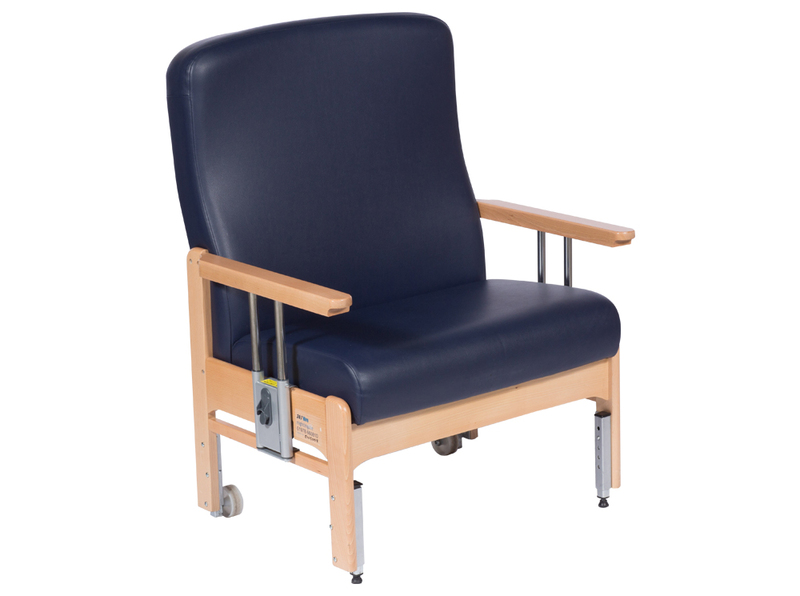 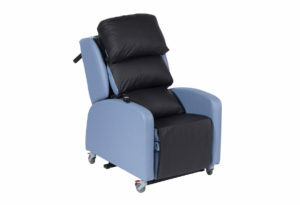 The pressure relieving memory foam is fitted to the seat of all models, as well as waterproof multidirectional stretch Vyflex (navy) covers, helping ensure patient comfort and ease of cleaning. 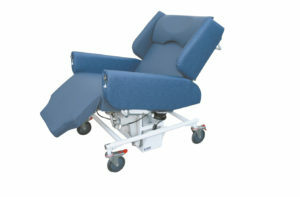 The choice of seat width, fixed or drop arms and adjustable height models, mean you can immediately hire a chair tailored to suit the needs of individual patients. 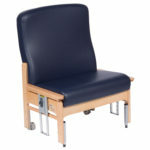 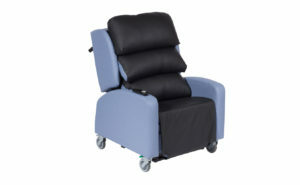 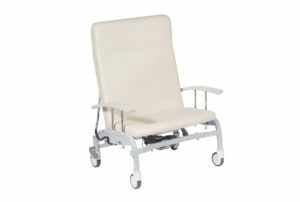 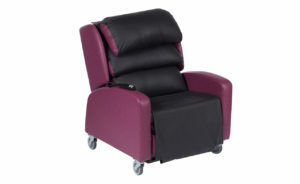 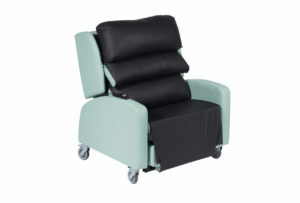 Furthermore the chairs are supplied with housekeeping wheels as standard to enable easy transportation and positioning.